Time to refine, a strong woman’s guide to retiring on her own terms is pre-launching may 17th, 2019! Click the button below to join our Book Launch Team! You’ll get inside access to picking the book cover, FREE gifts, and an invite to our #pinkfix Day, now a National Holiday! 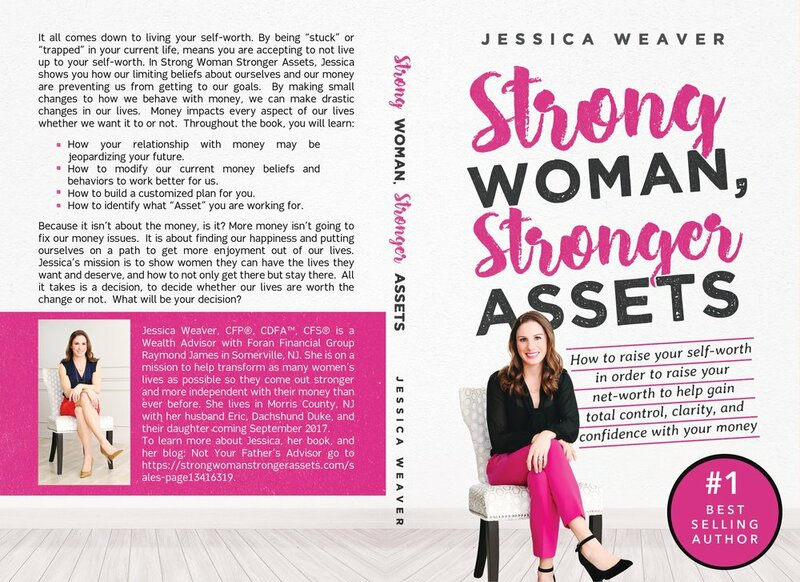 Strong Woman Stronger Assets Book Update! What if you could raise your confidence, get control over your money, and gain clarity over what is really important to you by just TWEAKING your mindset and behaviors? Strong Woman Stronger Assets is about raising your self-worth. To start this journey, you must first start to value your own life more, and then you will begin to live the life you want to live and deserve to live. When you change your self-worth, you tend to make better decisions with your money and with the other aspects of your life. When you see your bank accounts at a new low and your debt at a new high, your self-esteem plummets. I found the opposite can happen as well. As you save more money, invest in yourself, and put some focus back on you, you earn more money, raise your net-worth, and raise your self-worth. But you can also start by raising your self-worth and the same will happen. Each chapter will touch on a different aspect of personal finance, money management, and mindset coaching for you. There are easy to use and implement call to actions at the end of each chapter so I won't just teach you what to do, I will show you too. There is too much information out there, on the internet, in books and articles, and it seems everyone has become an expert. The problem is every situation is different, and everyone is different. This book will help you build a plan just for you that will guide you to a better life and is there to fall back on when life throws you a curve ball. There are stories from several women throughout the book to show you how real women have gotten through life's struggles and come out stronger and more independent than ever. They are from all areas of life and different stages of life. They opened up about their hardships to show more women, we are stronger and more resilient than we think. schedule your discovery call now! We all grew up around money, and are influenced by how our parents viewed money. As an adult, we are shown other ways to deal with money by our friends, co-workers, and significant others. These are our money stories, and you will learn whether your current money stories are preventing you from your goals or not. There are moments in life when we feel stuck and are too scared to leave our comfort zones. Our family and friends love to keep us safe and comfortable, so they don't like to push you. I show you the way to start taking steps, even if they are a tiptoe, to get out of your comfort zone. Since everything we want is outside our comfort zone, this is a must to start living the life you want. In Chapter 5, we will start building your plan. We can't get anywhere until we know where we stand today and where we want to be. Only then can we put strategies in place to implement today, tomorrow, and in five years. This easy to use personal finance checklist will make sure everything gets covered and is catered to you, ONLY you. The title, Strong Woman Stronger Assets, isn't referring to money. Assets is whatever you are working so hard for and remembering this throughout your journey. Having clarity over this is critical to your journey, and remembering it when times get tough is the key to success.